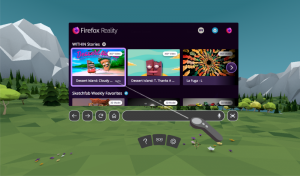 Mozilla’s mixed reality team has launched Firefox Reality, a new web browser designed to work on stand-alone virtual and augmented reality headsets. Firefox Reality was designed to move seamlessly between the 2D and the immersive web and is available now in the Viveport, Oculus, and Daydream app stores. 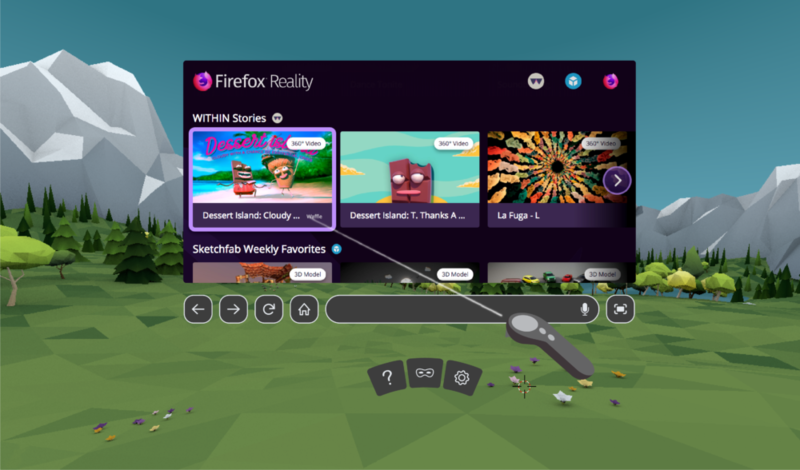 The browser supports voice searches and Mozilla said it is working with creators to bring “an amazing collection of games, videos, environments, and experiences” to the Firefox Reality home screen. “We had to rethink everything, including navigation, text-input, environments, search and more. This required years of research, and countless conversations with users, content creators, and hardware partners,” said Andre Vrignaud, head of mixed reality platform strategy at Mozilla. Mozilla said that the initial launch is version 1.0 of Firefox Reality, with version 1.1 “right around the corner”. It added that it has an “always-growing list of ideas and features that we are working to add to make this the best browser for mixed reality”. Earlier this year a new startup featuring members of the original Mozilla VR team launched a virtual reality browser for web VR content called Supermedium. This was created by developers Diego Marcos and Kevin Ngo and technical artist Diego Goberna to let users experience VR without downloading large native apps.